Currently, I lead the daily content creation for Military OneSource (DoD program), SECO, and other social media campaigns. My role is primarily copywriting, but I also guide the design process. See my work at https://www.facebook.com/military.1source/ and https://www.facebook.com/DoDMilSpouse/. For over a decade, I've been working as a freelance writer for various clients throughout the world. I've written articles for print magazines, and I've accumulated a wealth of experience in writing for digital spaces. To Dual Enroll or Not to Dual? Grades vs The Heart - Should You Date in Your Senior Year? I've got a lot of exciting things happening in my life right now and summer hasn't even started yet! In a few weeks, I'll be attending the 99u 2017 Creative Conference in NYC. So expect to see some new photography and updates to this blog. Be sure to follow me on IG @thinksoul25 to see more of my daily content creation. Next to my wedding day, this moment happens to be one of my favorites. Standing near the edge of uncertainty, nothing else seemed to matter but soaking up the majestic vibes of Mother Nature. Maybe it's the lure of nostalgia or the adrenaline rush of driving fast, but I'm just completely in love with American muscle cars. Here's a shot of my 2015 Camaro. Drove this baby on a grand cross-country roadtrip. Coast to coast. Back in the day, I used to find most of my freelance contracts via Craigslist and Elance. Both of those sites allowed me to discover great opportunities, and one of my favorite gigs was content management for international pop star, Kate Nash. I had the pleasure of working with a digital agency that did PR and social media on her behalf. My role was curating assets (news articles, photos, etc) and publishing them on her website, as well as copyediting and minor photo edits. Another grand view from our cross country roadtrip. Back in mid-2014, I had the pleasure of working on a contract at MedStar Washington Hospital Center; one of the largest hospital's in the nation. Digital media expert with a role in developing an integrated website and social media strategies to engage, build, and improve relationships with internal and external stakeholders. As a culture enthusiast, Jasmine does her best to educate, share, and promote her readers on all things house music. TS25 is truly home to house music and it's apparent she eats, sleeps, and drinks house. Seriously, she's madly in love with it! It's hard to describe the blog in just one word, but one thing that is true is that TS25 is home to Peace, Love, and House Music. Growing up in Colorado Springs, I've always had a very close connection with nature. 🏞 Every weekend my parents would take my brother and me hiking and on drives through the mountains. 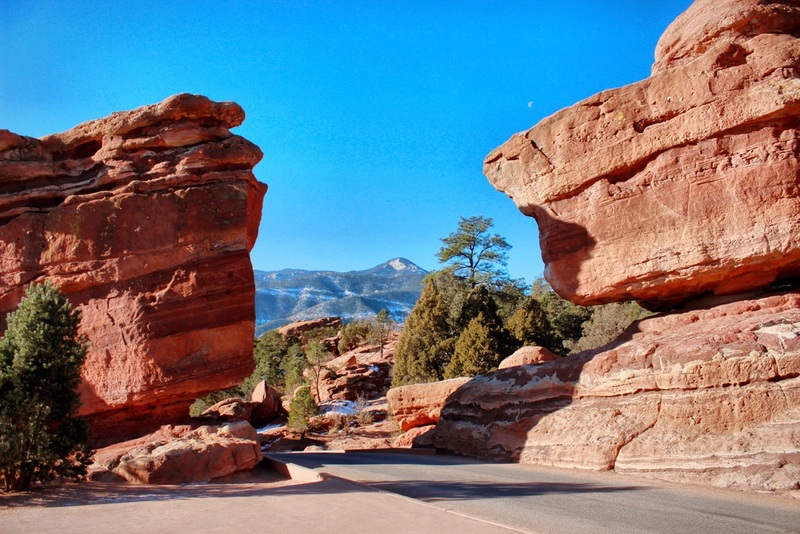 Known for its rich red rocks and tranquility, this natural oasis is also home to the infamous "Balanced Rock." By sheer wonder or magic, this rock is balanced on top of another rock, creating the perfect scenery for this shot. I've been exploring the connection between nature, beauty, and emotions by playing around with layer masks to create a composite image. I've learned that sometimes you have to briefly reflect on the past in order to launch forward towards destiny. This photo is one of the shots I took on our cross county road trip from Maryland to California. While working at the agency, I was named the design lead on Biweekly Editorial content. It was my job to produce assets for social holidays, as well as real holidays such as "Independence Day." Below is a piece of content that I sourced for Coke's instagram. Not only do I create original content, but I'm also skilled in procuring assets and curating a library of great content that performs well on social. Below is a selection of work I produced for Coca-Cola's partnership with Copa America 2016. Thanks to #PokemonGo, we took a 4.5 mile walk over to Piedmont Park and I had the chance snap this beautiful shot of Midtown. Got much love for this one on Instagram. Lately, I've been playing around with layer masks in Photoshop. Not sure if I'll create a series of work, but right now I'm exploring composite images of nature/city elements. My husband was born/raised in the U.S. Virgin Islands, and last year was my first time visiting where he grew up. At the time, I was working at Travel Channel and they let me borrow a GoPro. Naturally, I had to go on some type of adventure and capture the good/bad/crazy moments. Who said you couldn't visit the beach in winter? Even before we got married, the thirst for adventure has always been pulsating in our veins. Young and broke, our first vacation together was a 2.5 hour drive from Annapolis, MD to Ocean City on Christmas Eve 2014.